Elbert King MARLOW was born 1838 died 1916 and married Cecelia "Sealy" COOK 1866 Wilkes Co NC. Sealy, dau of Ephraim COOK and Viney WILLIAMS, was born 1844 died 1881 Catawba Co NC. She and infant son, are buried in the St Stephens Church Cemetery Catawba Co NC. Elbert MARLOW served CSA as Pvt Co B 55th Regt; wounded Gettysburg PA & Wildnerness VA; captured at Amelia Court House VA 1865. Elbert is buried at the family cemetery in an unmarked grave. William Johnson MARLOW b. August 05 1845 d. April 12 1917 married Mary Ellen Younger April 08 1875 Moultrie Co IL. She was b. December 08 1857 d. July 27 1932 Moultrie Co IL. Martha D MARLOW was born 1847 and died Abt. 1887 in Wilkes Co NC. She married James Oliver MOORE 1869 Wilkes Co NC, son of Wilson MOORE and Mary HAYES. He was born June 28 1848 and died April 22 1900 Wilkes Co NC. Rebecca Adelline MARLOW was born June 24 1852 and died March 20 1920 Wilkes Co NC. She married James Calloway MARLOW August 06 1872 Wilkes Co NC, son of Hillary MARLOW and Sinah MARLOW. He was born December 09 1851 and died April 07 1921 Wilkes Co NC. Both are buried at their old homeplace, off Vannoy Ridge Rd, in graves marked only with fieldstones. Also buried in the same cemetery is a 22 mos old granddaughter. Mary L MARLOW b. August 17 1848 d. March 31 1904 married Eli F ANDERSON ABT 1873 in Wilkes Co NC. He was b. November 03 1852 d. March 01 1937. Both are buried in the Fishing Creek Cemetery in Wilkes Co NC. James I MARLOW born February 21 1856 died August 28 1900 and is buried in the family cemetery. He married Adeline MOORE April 06 1879 Wilkes Co NC. She was born 1857 died February 23 1940 and is buried in the Cherry Grove Cemetery. William Newton MARLOW b. 1878 d. October 12 1935 married Nancy Jane Moore ABT 1910. She was b. August 09 1891 d. March 21 1932. 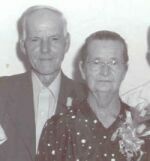 Alice Adeline MARLOW b. July 31 1887 d. February 13 1969 married Martin E Moore August 23 1908 Wilkes Co NC. He was b. March 16 1883 d. August 26 1985. Laura L MARLOW b. December 06 1888 d. February 29 1936 married Ivory Wesley Ball June 01 1912 Wilkes Co NC. He was b. September 15 1893 d. October 06 1961. Sarah Melviney MARLOW b. December 27 1880 died September 09 1950 married Carl Edgar MARLOW April 19 1908 son of William Parker and Mindy MARLOW. He was born May 02 1883 and died October 15 1952 Wilkes Co NC. Alice Adeline MARLOW b. July 31 1887 d. February 13 1969 married Martin E MOORE August 23 1908 Wilkes Co NC. He was b. March 16 1883 d. August 26 1985. Both are buried in Mountlawn Memorial Park Wilkes Co NC. Laura L MARLOW was b. December 06 1888 and d. February 29 1936 Wilkes Co NC. She married Ivory Wesley BALL June 01 1912 Wilkes Co NC. He was b. September 15 1893 and d. October 06 1961 Wilkes Co NC.